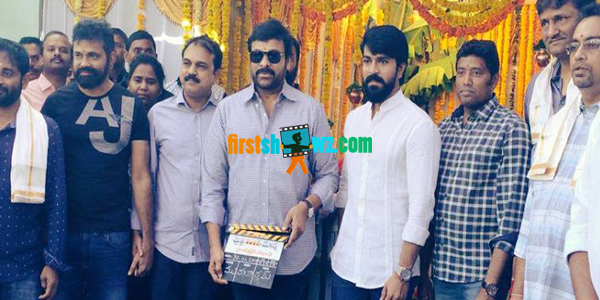 Mega Power Star Ram Charan, Creative director Sukumar’s new film referred as RC11 for now has been launched today on a grand scale. Within minutes of launch, #RC11Begins started trending in Twitter. The makers have launched first look poster with an interesting theme that shows Ram Charan in a village style in Dhoti, which garnered good response. Megastar Chiranjeevi sounded the clap board for muhurat shot. RC11 is the village backdrop romantic love story casting Ram Charan and Samantha together for first time. Jagapathi Babu plays crucial role. Produced by Mythri Movie Makers, the movie has Ratnavelu cinematography and Devi Sri Prasad’s music.